The latest release on Stellar Fountain welcomes Marcelo Paladini back to the label for his debut single. The Argentinean producer had previously completed two remixes for the Hungarian imprint and also boasts releases on Balkan Connection and Soundteller Records. 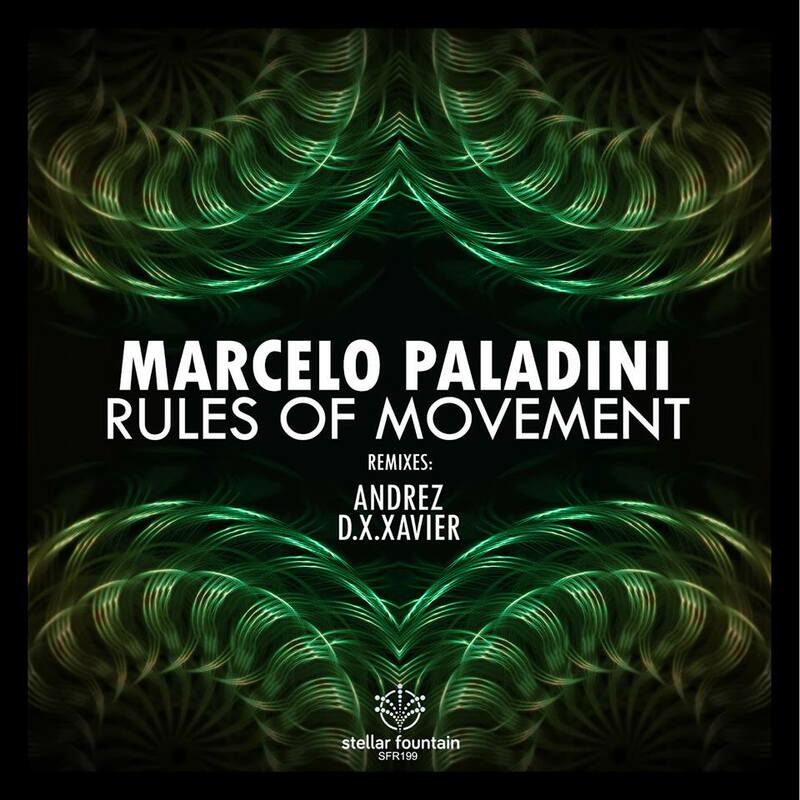 Now for his debut single on Stellar Fountain Marcelo presents his latest studio creation entitled ‘Rules Of Movement’ alongside remixes from D.X.Xavier and Andrez. Marcelo’s dreamy progressive house sound has been enchanting electronic music fans for years. I feel like he’s really found a nice space recently with his ‘Wolves’ track (courtesy Michael A’s Genesis Music) and ‘Reaching The Road’ (courtesy Balkan Connection). On ‘Rules Of Movement’ we get more melodic brilliance with clustered motifs and atmospheric drifts painting a wonderful sonic picture. The main break is gorgeous as the melodies get a chance to breathe a bit more, eventually dissipating to a twinkling decay. The groove comes back with a warm sweep and the stripped back framework sets up the ultimate melodic conclusion full of gorgeous, summery vibes. Beautiful work from Marcelo. Both remixes take the track in quite different directions and make for a really well rounded release. First up D.X.Xavier returns to the label for his ninth appearance and reworks ‘Rules Of Movement’ in a much deeper and dubbier direction. Smooth rhythms along with quirky hooks and big bass swells make for an enchanting groove. Soft pads add an elegant air before a buzzy synth lends an emotive presence. It’s one which carries nicely all through the third act while the dubby rhythms keep you glued to the floor. Great remix from D.X.Xavier. Closing the release out is Andrez who returns to the label for his third appearance. The Bulgarian producer has upped the tempo and delivered a more techno inspired rendition of ‘Rules Of Movement’. Punchy beats, rolling rhythms and phasing vocals make for a wicked hypnotic mood before stripping down into a dramatic break. Muted beats and rhythms build tension as electronics cut through the air, eventually bringing the full groove back to what should be a great reaction on the floor. Definitely one for the peak hours and it rounds the release off with great energy. Superb offering from Stellar Fountain and a great debut single for Marcelo on the label. Don’t miss it.